Geforce GTX 1050 Ti is budget mid-range graphics card from Nvidia that is built on the Pascal GPU architecture. The card comes with 768 CUDA Cores and 4GB GDDR5 memory having 128-bit interface. 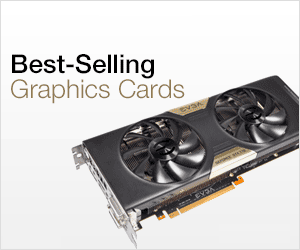 On this card you can play latest games on high graphics settings at 1080p. The main competitors of GTX 1050 Ti are Radeon RX 460 and Radeon RX 560 graphics cards from AMD. 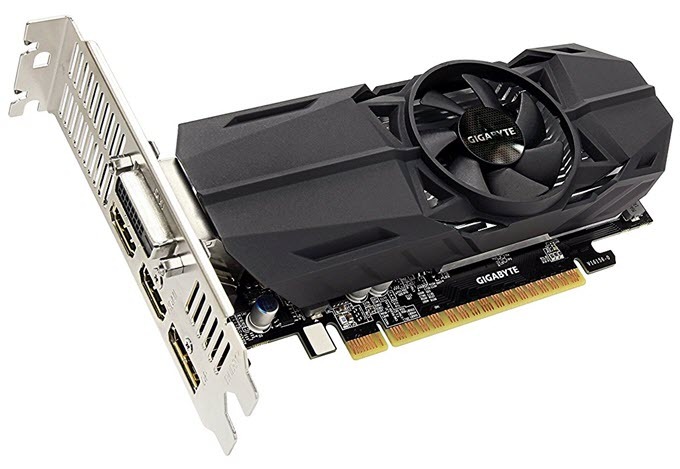 GeForce GTX 1050 Ti is a perfect card for anyone building a budget gaming PC. Geforce GTX 1050 Ti supports DirectX 12, OpenGL 4.5, Vulkan, G-Sync, Nvidia Ansel, Nvidia GPU Boost but is not a VR Ready card. The power consumption of GTX 1050 Ti is on the lower side at 75W and requires only a 300W (preferably 400W) PSU for its working. 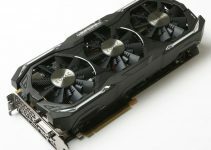 Geforce GTX 1050 Ti is available in different form factors from different brands and here I am going to list down the best GTX 1050 Ti models based on different requirements of the users. 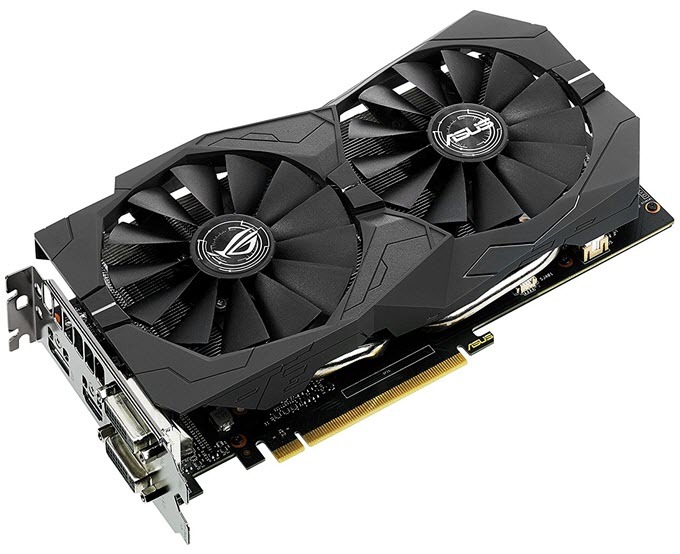 Gigabyte GeForce GTX 1050 Ti Windforce OC 4G offers best value for your money and is a reliable GTX 1050 Ti card for your budget gaming needs. The card comes with WINDFORCE 2X cooling system with dual 90mm fans and heat-sink with copper heat pipes. This cooling system keeps the card pretty cool even under heavy gaming load. This is an overclocked card which means you get better performance than the reference or stock GTX 1050 Ti. The back of the card comes with a metal backplate which gives it more strength and rigidity. 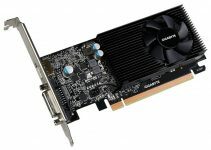 The card has lower power consumption and it requires a 6-pin PCIe power connector and minimum of 300 Watt PSU for its working. This is the fastest GTX 1050 Ti card and it comes heavily overclocked. For cooling, the card comes with dual fans and heatsink with heat pipes. This card can run all the modern games at 1080p @ 60 FPS comfortably. The card requires one 6-pin PCI-Express power connector for it working. Other features include DirectCU II with Patented Wing-Blade 0db Fans and Asus Aura Sync RGB LED Lighting. So if you want the most powerful GTX 1050 Ti then you must go for this one only. There also a non OC version of this card which is a bit cheaper but you can overclock it with GPU overclocking softwares to match the performance of OC edition. You can check them both by going to the links given below. If you are building a small form factor gaming PC then you do need a compact GTX 1050 Ti card. 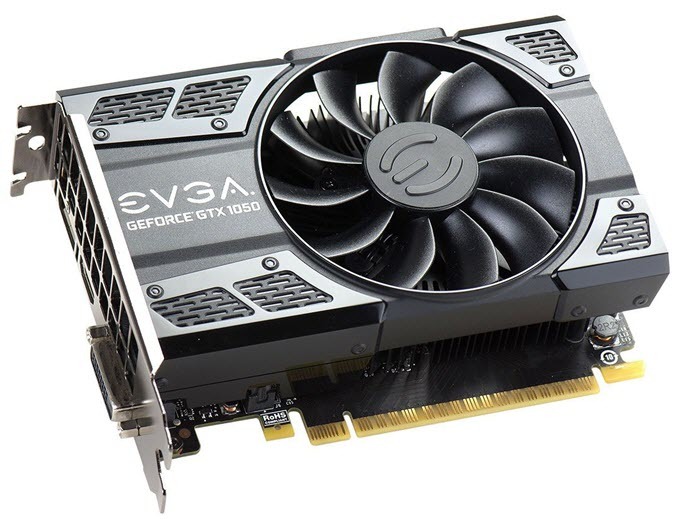 So here we have EVGA GeForce GTX 1050 Ti SC GAMING which is compact GTX 1050 Ti card and it also does not require any external PCIe power connectors for its working. The card has maximum power consumption of 75W and it draws all its power form the PCI-Express x16 slot. This card can fit in almost every SFF or mini-ITX case as the length of the card is only 145mm. There is single fan fitted on the heatsink and it keeps the temperature well under control if you do not plan to overclock the card further. The card do comes pre-overclocked from the factory and thus perform a bit better than the reference GTX 1050 Ti. Other good compact GTX 1050 Ti cards that I would recommend are ZOTAC GeForce GTX 1050 Ti Mini and Gigabyte Geforce GTX 1050 Ti 4GB GDDR5. 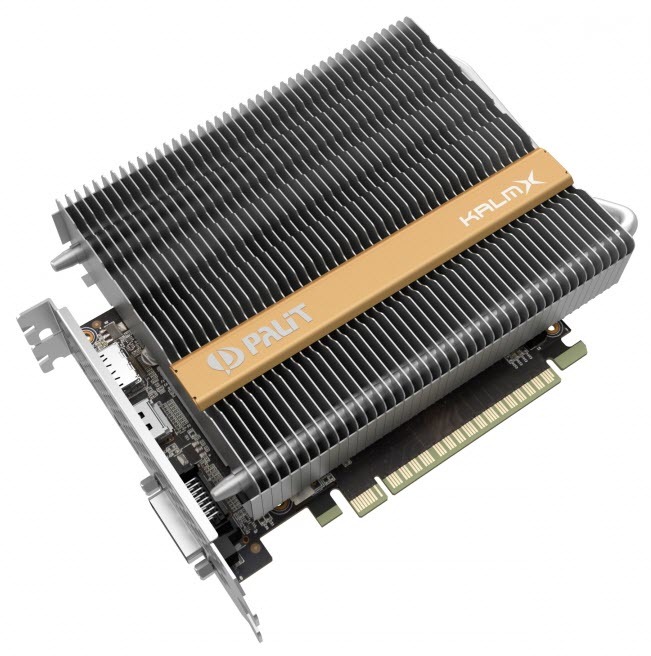 If you are building an HTPC and need a completely silent GTX 1050 Ti then you won’t find anything better than Palit GeForce GTX 1050 Ti KalmX. This is a passively cooled GTX 1050 Ti card with no fans and is completely silent in operation. The card comes with the stock GTX 10505 Ti frequencies both for GPU and memory and it is not advisable to overclock it because there is not active cooling present on this card. The passive heatsink with heat pipes is large and it even comes out of the PCB area of the card. The power consumption of this card is on the lower side as it does not require any PCIe power connector and needs only a 300W PSU for its working. It is the only GTX 1050 Ti card with passive heatsink and it do not generate any bit of noise. If you own a low profile case or slim case then you can get GeForce GTX 1050 Ti OC Low Profile 4G. 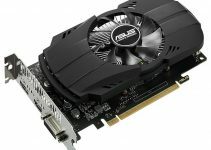 It is a low profile graphics card which is narrower in width and can fit in any slim or low profile cases using low profile or half-height bracket. Also the card is very short in length at 167mm and can fit in mini-ITX or small factor cases perfectly. 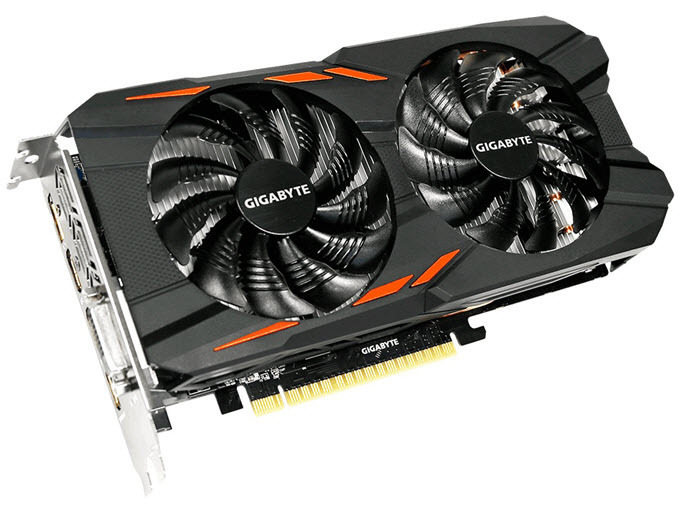 This low profile GTX 1050 Ti card from Gigabyte comes overclocked and delivers better performance in games and other applications. The card does not require any external power connectors and needs only a 300W SMPS for its working. Other good GTX 1050 Ti low profile cards are ZOTAC GeForce GTX 1050 Ti Low Profile and MSI Video Card GTX 1050 TI 4GT LP. If you have queries on which GTX 1050 Ti card to get then you can ask me all your doubts by leaving a comment below, clearly stating your requirements or needs.